Peter Henry's TechTidBits (Blog) - SWO5 – You Going? GREAT! Now What? SWO5 &ndash; You Going? GREAT! Now What? 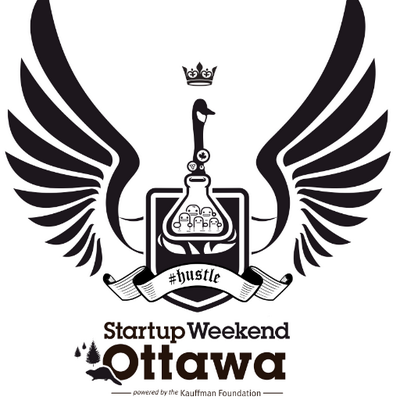 Last weekend I volunteered at Startup Weekend Ottawa (SWO) and had a BLAST! This is the third blog post in the series. If you are thinking of participating in the NEXT (rumored to be in the fall) Startup Weekend Ottawa (GOOD for you! ), but after you hit the Register button….what do you do next? I’ve tried to break down a few key timeslots and some suggestions for you. I hope it’s useful to you. wouldn’t it be GREAT if you could just whip up a website and have a place to point your NEW domain name to for your demo? wouldn't hurt to throw in a pad and pen either, hey, they work even when batteries die or you're doing updates over w...........i.........f...............i............ (sooooooo slow :>) DOH! just before you leave home\work, check for any last minute emails or notices on the website for times, locations, juuuuust in case somethings changed, if nothing, great! if something has, you'll be able to help others AND they'll remember you for that! see if everything is on one floor or multiple floors, access via stairs or elevators, are the elevators fast\slow? are any of the doors locked\restricted access? say HI to one person, start talking to someone, anyone! once you do it once, it only gets easier to say hi again! the focus here is to meet people, say hi, introduce yourself, the more people you meet now, the easier it'll be ALL weekend long! simple as saying "Hi, I'm Peter, how are you?" Robert, Mooky and Raja did that to me and I was so nervous talking to them but after 30s it was great! they broke the ice for me! know when to "fish or cut bait" on an idea or path that's just not working! GO with it when you DO have an idea that's got legs! Run with it! when the mentors come around, interact with them....AND LISTEN to what they have to say! they have experience, that's why THEY WERE ASKED to mentor! in the same vein, if you need to pick their brain, go seek them out! Robert Venczel and Greg O’Donnell were there the WHOLE weekend, they were always a "nudge and 'hey, can I ask you?'" away! I was lucky enough to be Greg O'Donnell's "body guard" Saturday, and man, this guys on da ball!!!! Passionate, energetic, TO THE POINT! He can clearly see through the fog you might be trying to wade through, he gets you to think about THE PAIN POINTS to be successful with your idea! There's just no way you can think of EVERYTHING in the short time you have together before the mentors come around, that's ok! Go with it! if you're a developer, keep your OS\lang prejudices in check (if you know me, that was hard this weekend LOL if you don't know me, I'm very pro-Microsoft) but it will serve you better, I promise you! give your partner a hug, they've missed you all weekend and held down the fort in your absence, let them know you appreciate it! try to avoid the bland default outgoing message...add something personal, "It was cool meeting you, wouldn't have been as much fun without you, hope to do business with you in the future, see you around!" blog, tweet, Facebook about your experience! talk about SWO with people you know, word of mouth is the best advertising! continue working your AND NEW ideas! the weekend must have worn off on me, cause I’ve already bought www.Tuple.ca, not sure what to do yet, but when I get some sleep, I will! Now you have the inside track for advice on your next Startup Weekend Ottawa. If you’re there, keep an eye out for me, and if you see me, please say hi and let me know if this was helpful. Until then, it’s time to grab a coffee and get coding!